3)Replacement directly:Needn’t change compressor, piping,refrigerantion oil. 4)Less dosage:It is only 42%-47% to ordinary refrigerant gas (such as R22,R502). 5)To reduce the noise and extend the life of compressor. 6)Being short life in the atmospher, less than three months. 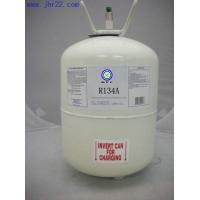 Refrigerant gas HC-R22a,is a new type eco-friendly hydrocarbon refrigerant gas, refining high-purity propane, butane and mixed alkanes by a certain weight than reconcile derived from deep purification, precision preparation, does not damage the ozone layer, no greenhouse effect, completely environmentally friendly. The amount of refrigerant gas dosage is only 45-55% of R22,R502 by weight so it is more economical. The air-conditioning system and filling procedures without changing ,same as the original filling procedures, but it is recommended to use digital scales to ensure the accuracy of the amount of filling. Unique adaptability to the hot climate. Fully compliance with international environmental requirements, ODP is equal to 0, GDP100 less than 3. 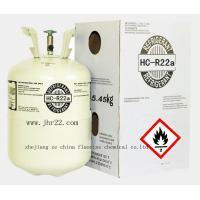 HC-R22a is a new natural refrigeant Ze China company developed mainly used in dindoor air-conditioning fields,which does not destory the ozone layer and the greenhouse effect is almost zero,this product can replace R22 refrigerant directly without the modification of the equipment.the constumption of HC-R22a is only 1/2 of the original refrigerant and widely used in refrigeration field,therefore, HC-R22a；HC-R134a is regarded as excellent long-term replacement scheme of automotive airconditioning in the future And home air conditioning.